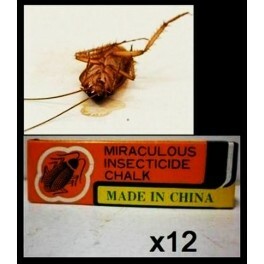 Ant & Roach Killing Chalk forms barriers to control and kill ants and roaches. Ants and cockroaches would die if they walked across the line drawn by the chalk. Great for treating baseboards, moldings, around plumbing and may other use areas. The product allows placement in those hard to reach areas where ants and roaches live and hide in your home. As we all know that the smell of insect spray will probably a harm to human's health in the long run. 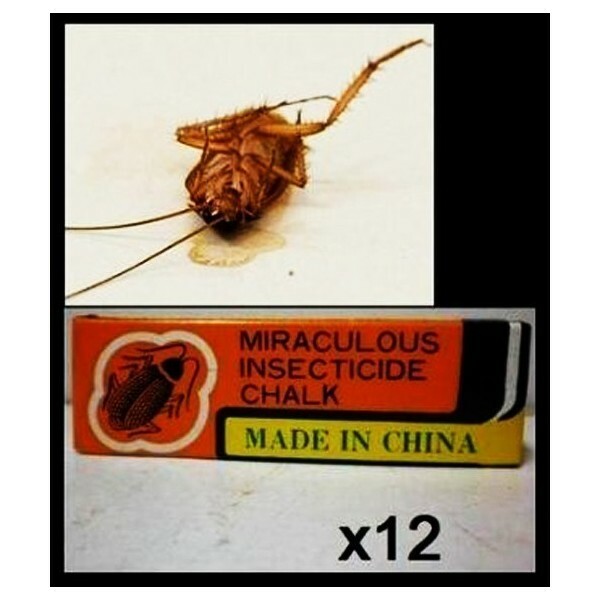 The chalk is odorless when compared with the insect sprays. Black Flag Ant & Roach Killing Chalk forms barriers which insects must crawl over to enter the home or to get to and from food and water. Ants and cockroaches would die if they walked across the line drawn by the chalk. These barriers are formed by drawing treatment bands around such areas as baseboards, door frames, underside of shelving and cabinet drawers. Be careful ! Do NOT eat ! Wash your hand after use ! Place at places that are reachable to children !